A luxurious apartment community located in Katy, Texas. Mason Park offers residents easy access to Interstate 10, full size washer and dryer connections in every unit, custom cabinetry, and much more. These brand new Katy, TX apartments gives tenants the ability to live the good life with state-of-the-art amenities and quality customer service. Conveniently located near I-10 and just minutes away from Katy Mills Mall, major employers, eateries, entertainment venues and Taylor High School, Mason Park apartments is ideal for any lifestyle. Apartment Homes include spacious floor plans, 9 foot ceilings, crown molding, french doors and energy efficient appliances. If you’re in the market for a new Katy, Texas apartment home, Mason Park is a great choice. Our Houston apartment finders give these apartments in Katy a 5 star rating. 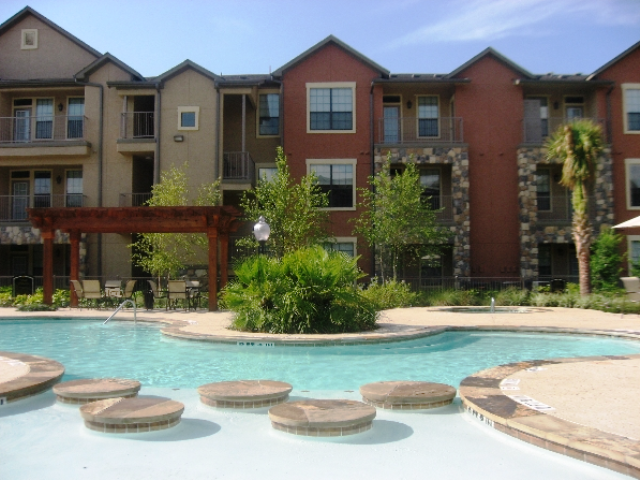 Mason Park is an awesome place to rent in Katy, TX.